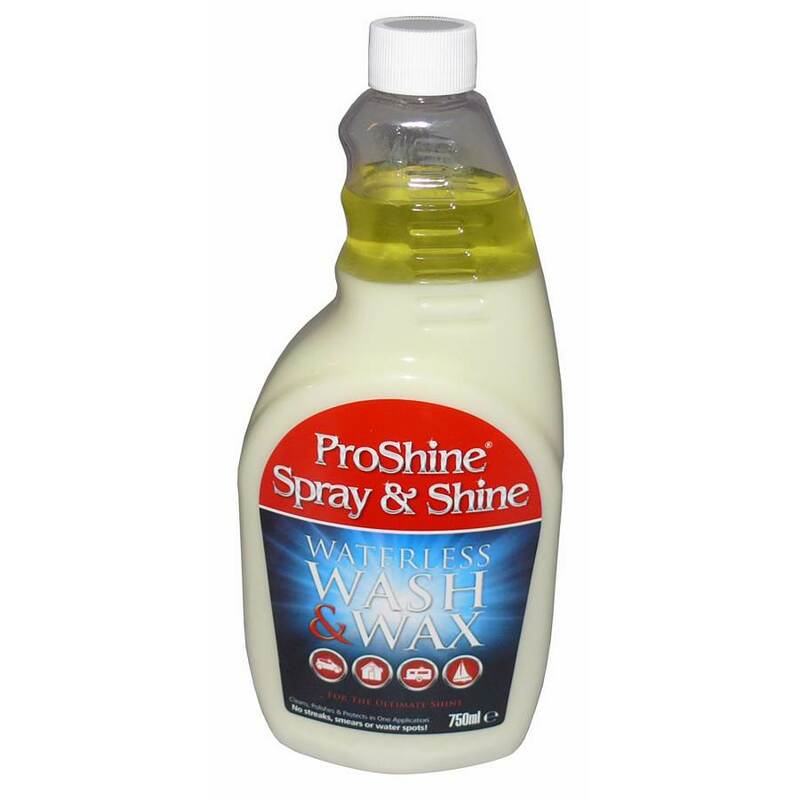 ProShine Waterless Wash & Wax, one step system - Spray on & Wipe off! ProShine's revolutionary formula brings you space-age technology to all areas of your life. Now you can clean, polish and protect your vehicles metal, glass, plastic, fibreglass, gel coat or any non-porous painted surface anywhere, anytime - completely water free! Simply spray on, over the dirt, wipe off and then with a clean cloth, lightly buff. We recommend the use of a pair of quality Micro Fibre Cloths. * Safe for all types of paint, including clear coat. * Cleans dirt, grime, road haze, tar, bird droppings and soft tree sap. * Contains hi-grade Carnauba Wax. * Non abrasive / Durable finish. * Does not require washing the surface with water. * Carnauba Wax coating repels dirt, keeping the surface cleaner for longer.